The name malted milk comes from the malt flavouring – often provided in the form of barley malt extract – which is combined with milk powder within the ingredients list. 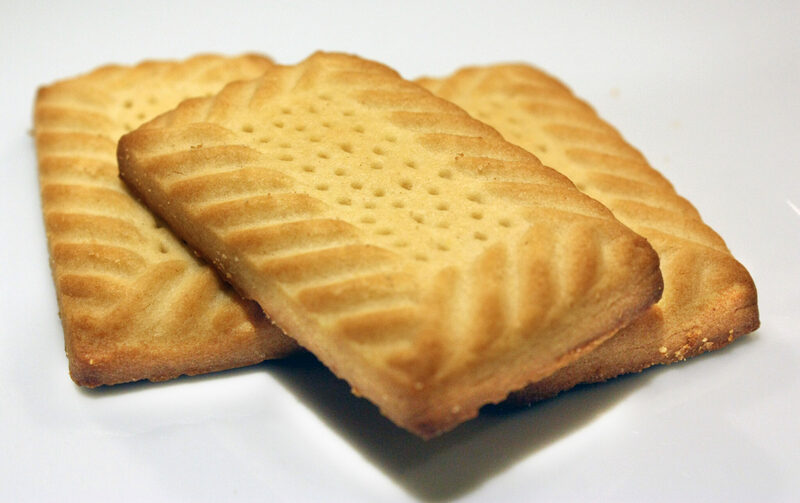 Some manufacturers jazz up their malted milk biscuits by covering half the biscuit with a delicious layer of chocolate. 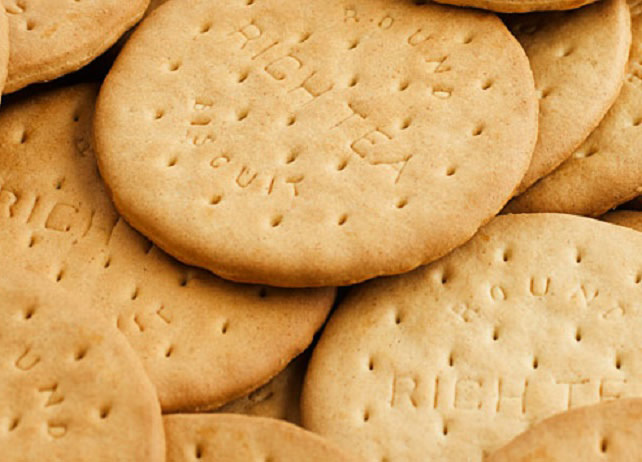 Malted milk biscuits are even reasonably healthy – a recent article in the Daily Telegraph had them listed as one of the 10 nicest biscuits to meet the Goverment’s healthy living guidelines – containing less than 20g of sugar for every 100g of delicious biscuits. 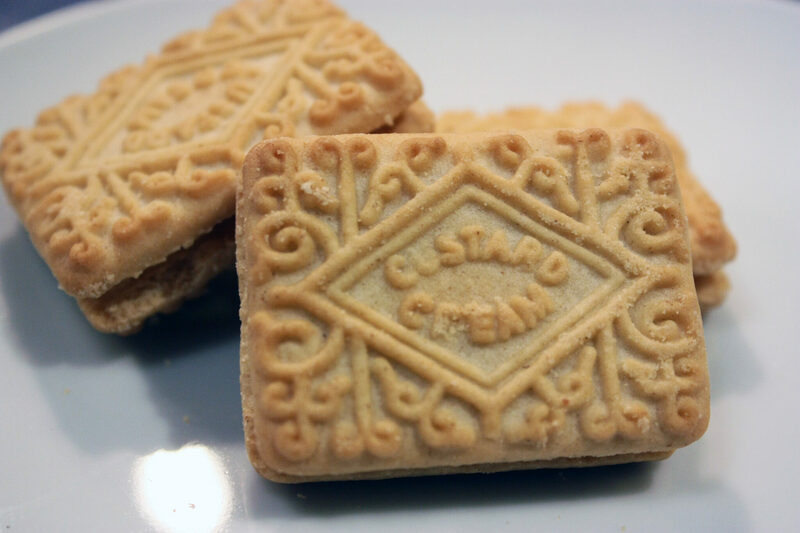 Little is known about the origin of these tasty treats, although it is claimed that they were first produced back in 1924 by Elkes Biscuits, which is now owned by the famous Fox Biscuits company. The company was believed to have added the little cow pictures after the wife of one of the bakers saw some leftover dough and added a cow, and the design stuck for us to enjoy to this day. We’ve got no idea where the little nibbly bits around the edge came from though!